The Crucifixion of Jews Must Stop! The sacrifice of “six million Jews” was being talked about before Hitler rose to power. A photocopy from the American Hebrew dated Oct. 1919, speaks openly about a holocaust of six million Jews before declaring “Israel is entitled to a place in the sun”!! Italy’s government is pushing ahead with new laws challenging the central bank’s control of the country’s reserves. Rome is calling for public ownership of the nation’s gold. The ruling coalition of the anti-establishment 5-Star Movement and the League parties proposed two bills that have evoked nationwide controversy over the country’s long-standing financial and monetary system. One draft law may, reportedly, oblige the central bank’s owners to sell their shares to the Italian Treasury at prices from the 1930s, while the second law is set to declare Italian nationals to be the owners of the Bank of Italy’s reserves. “The gold belongs to the Italians, not to the bankers. We are ready to battle everywhere in Italy and to bring Italians to the streets if necessary,” said Giorgia Meloni, leader of the Brothers of Italy opposition party, as quoted by the Wall Street Journal. The 5-Star Movement and the League previously blamed the current system of governing the country’s monetary system for losses of small individual investors caused by the recent downfall of several Italian financial institutions. According to government officials, the central bank failed to maintain proper supervision of the country’s banking system during the latest crisis that put the entire monetary system of the Eurozone at risk . If you are here with your current account in the red, it’s because the people who were supposed to control things didn’t do so,” Deputy Prime Minister and Interior Minister of Italy, Matteo Salvini said in February. The Bank of Italy, which holds 2,534 metric tons of gold worth some $102 billion, currently enjoys full independence with the entire decision-making process absolutely autonomous from the government. “We need a change of course at the Bank of Italy if we think about what happened in the last years,” Italy’s Deputy Prime Minister Luigi Di Maio said earlier this year, calling for the current administration of the regulator to be replaced. In February, the Italian government proposed selling some of the country’s gold holdings in order to avoid an increase in value-added tax (VAT), planned for 2020. Salvini gave a positive assessment of the plan, calling the idea interesting. However, the country’s president Sergio Mattarella doesn’t support the proposal. According to the head of state, the government should avoid interference with the work of independent authorities, such as the Bank of Italy, which can’t accept instructions from governments. The coalition government fully supports public ownership of the gold reserves, and with backing from parties comprising 60 percent of lawmakers, the draft law apparently has all the chances of being approved. When it comes to nationalizing the central bank, 5 Star reportedly backs the measure, while the League is still hesitating, leaving the bill short of a majority with 40 percent support. To The Government Of Italy: If Bank Of Italy Belongs To The People Then Explain Exactly What Your Going To Do With The Gold For The People? As an Italian myself, I have very much grave concerns with this move by the Italian government. The present coalition government is showing more and more signs of a fascist government, for example, with this present government it has made Italians that are born abroad as second class citizens. Specifically, if you were not born in Italy, you can have your citizenship revoked. And who decides this? The government of course. Now, Italians born abroad have to worry about not offending the government if they don’t want to lose their citizenship. This is fascism, of the most hideous form. Now this fascist government wants to steal the gold that belongs to the Italian People, without stating a single word where every ounce of it will go. First of all and most importantly, the present Italian government can not legitimately claim to be taking this gold on behalf of the Italian people, because it is a MINORITY government. It is a disgrace that this government is speaking on behalf of the Italian people when a majority of Italians DID NOT vote for this government. If this gold is taken by the Italian government they MUST explicitly state exactly what it will do with ALL this gold. In fact, there is ONLY one thing that should be done, and that is, to pay down the Italian debt. 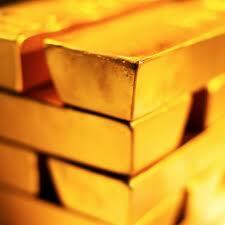 Dorian.. Maybe that Gold, should be send to New York Federal Reserve for safe keeping ?? That would make you sleep easy at night ? Right ?? Why did housewife and homemaker become dirty words?